This entry was posted in 5 stars, Book reviews, By country, England by Mrs P.. Bookmark the permalink. My le Carrés are all falling to bits I have read them so often. Desert Island? 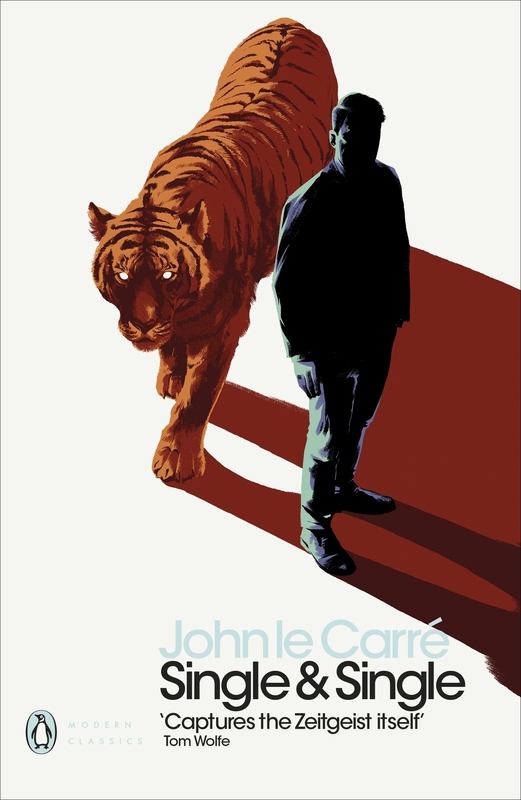 Definitely le Carré. All 21 would be bliss. Great to have 21 bloggers reviewing them, must check them out. I think you have been landed a good one, Mrs P. Single & Single is one of his best post-Cold War IMHO. I’m absolutely with you on the desert island choice, Miranda. You could read those 21 novels over and over again, and they’d just keep on giving. I hadn’t actually read Single & Single before, and it was an absolute treat. I’m up to number 16 now, so 5 precious unread le Carrés to go – although he may also publish new ones as he shows no signs of slowing down 🙂 ). We’ve just rewatched the two BBC le Carre series and these have piqued my interest in rereading some of his books. And I so need to watch TTSS with Alec Guinness again. timeless is the very word was my response to when recently reading, finally, Legend of A Spy .. Yes! I read The Russia House for my stop on the tour and now can’t wait to get stuck into more John le Carre books! Great! I’m just listening to The Russia House on audiobook and enjoying very much. I wonder if I’ve read all 21, must check the list. Thought I’d listened to Single & Single as a audio book about 17 years ago, but getting the new book edition from Waterstones & reading it seems I was mistaken! 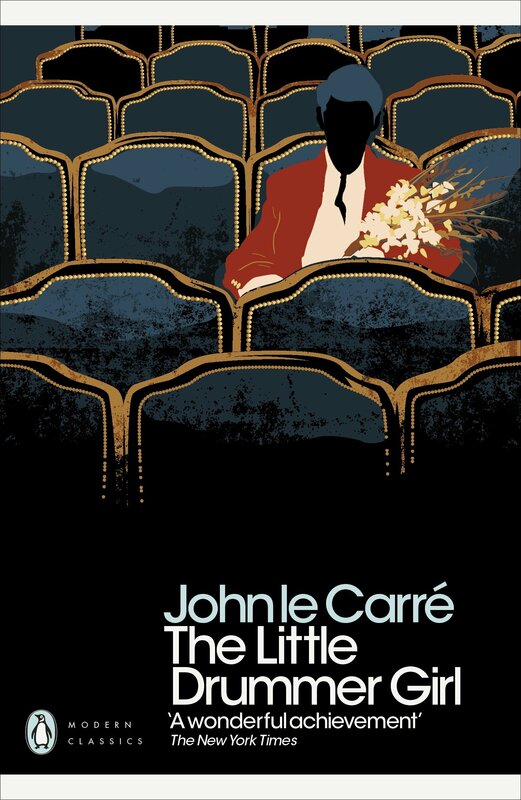 Nothing like reading a John le Carré I haven’t read before, really enjoyed it. 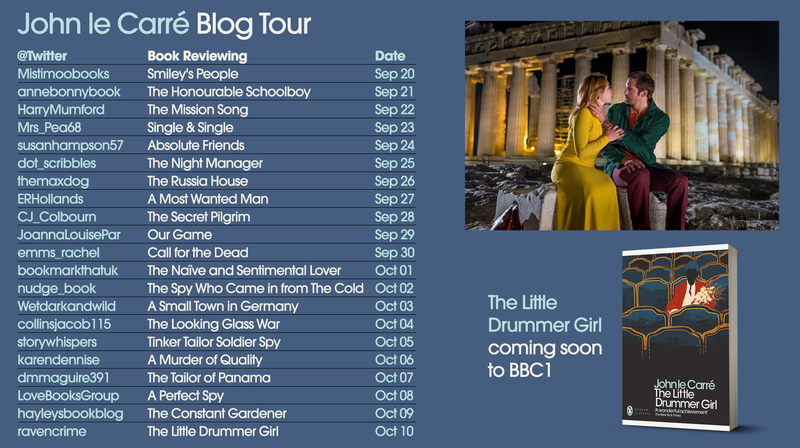 Definitely have not read Little Drummer Girl, so will be getting that next. Have to say great art work for the books.